# Now we will create a percentile variable that will rank x from slightly above zero to slightly below 1. # Next, let's replace avpct with the mean of pct for each group. # We will first generate some data, y is 4000 normal draws divided by a uniform(.1,1.1) draw. 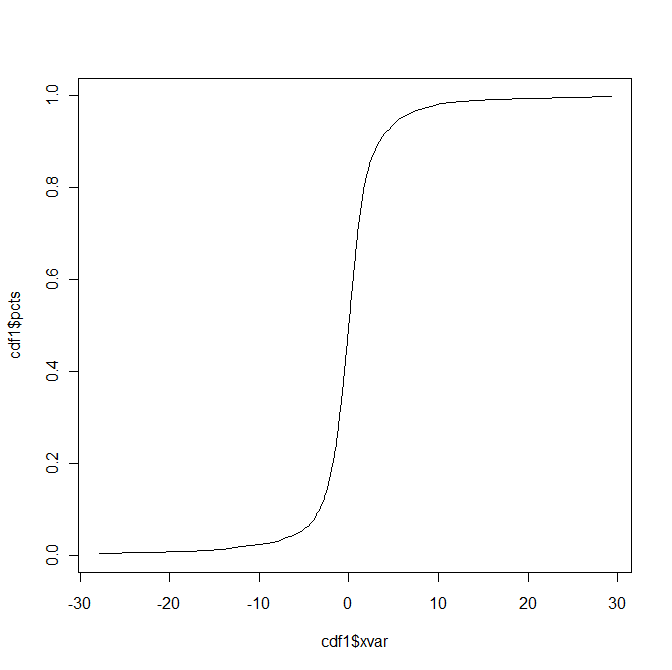 # We can see the ECDF is pretty steep around the mean 0. This is because most of the observations fall between -10 and 10, yet a very few are either large (around 30) or small (around -30), forcing the x dimension to be large. 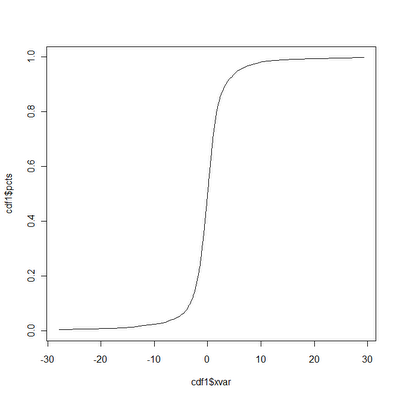 # In a future post I hope to use the empirical CDF information to calculate an inverse CDF that can be used to draw correlated non-normally distributed random variables. Haha, I just found out that R already has a ecdf function programmed up that does exactly this.